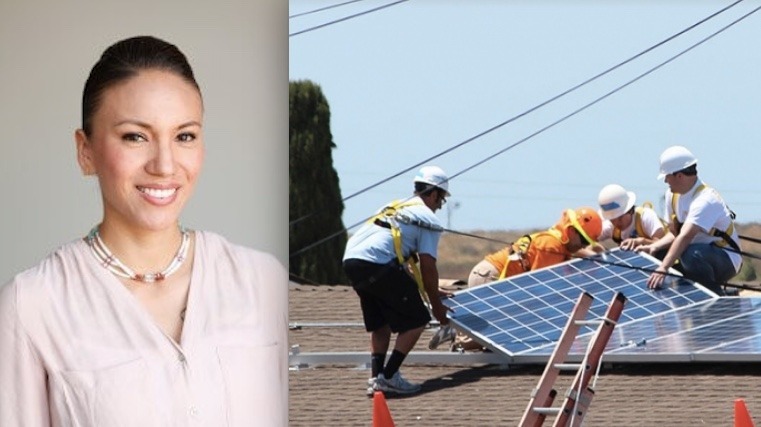 GRID Alternatives, which makes solar power and solar jobs more accessible to underserved communities, has appointed a leader of its Tribal Solar Accelerator Fund. Established in 2018 with a $5 million commitment from the Wells Fargo Foundation, the Tribal Solar Accelerator Fund aspires to increase solar opportunities in Tribal communities. Tanksi Clairmont—an enrolled tribal member of the Sisseton-Wahpeton Oyate from Sisseton, South Dakota, and a member of the Sicangu Lakota Oyate from Rosebud, South Dakota—has been named director of the fund. The Tribal Solar Accelerator Fund is an extension of GRID Alternatives’ national Tribal Program. The fund supports GRID’s work of helping Tribes build renewable energy capacity and resilience, and energy sovereignty. The fund additionally provides matching grants for shovel-ready Tribal solar projects on an application basis. The grant application process for 2019-2020 will launch this spring. For more information, visit www.tribalsolar.org. Although born and raised in Denver, Clairmont remains deeply rooted in Lakota/Dakota culture through ceremony, language and social dancing, according to a GRID press release. Tanksi has worked extensively across Indian Country and brings her experience in grant administration, coordination, research and evaluation from the National Conference of State Legislatures and the American Indian College Fund. “Tanksi is an inspirational leader who understands the importance of energy sovereignty and the opportunity to impact Indian Country in all aspects of our triple bottom line: people, planet and employment,” said Adam Bad Wound (Oglala Sioux), vice president of philanthropy at GRID Alternatives and founder of the Tribal Solar Accelerator Fund. GRID Alternatives’ national Tribal Program has worked since 2010 to help Tribes achieve their renewable energy goals with solar while training Tribal members to enter the solar workforce. GRID has installed nearly 3 MW of solar capacity in partnership with more than 40 Tribes to date. Tribal Solar Accelerator Fund grantees for 2018 include the Spokane Tribe of Wellpinit, Washington, the Chemehuevi Tribe, and the Los Coyotes Band of Cahuilla and Cupeño Indians. “Building local capacity throughout Indian Country is my personal and professional passion, and I’m thrilled for the unique opportunity to contribute my experience, networks and cultural values to the Tribal Solar Accelerator Fund,” said Clairmont.